The number of abortion pills being bought online in Britain is increasing, data shown to the Victoria Derbyshire programme suggests. Government figures show 375 doses, sent to addresses in England, Wales, and Scotland, were seized in 2016, compared with just five in 2013. Taking the pills while pregnant without medical approval is illegal in the UK. The British Pregnancy Advisory Service said as awareness of the online pills increased, more women were using them. The figures, from the Medicines and Healthcare products Regulatory Agency (MHRA) - which regulates medicines in the UK - show there were 375 pills seized last year, up from 270 in 2015 and 180 in 2014. The seizures were made during the MHRA's annual week-long raids, known as Operation Pangea, at places like postal hubs where foreign post is kept before being distributed to local post offices. NHS abortion treatment is free and widely available in Britain, but remains mostly illegal in Northern Ireland. However, the UK currently has the harshest punishment for self-induced abortion of any country in Europe, bar the Republic of Ireland. Under the Offences Against the Person Act 1861, anyone taking the pills could, in theory, be punished with a life sentence - no matter what the gestational period. Two women have been jailed for using the abortion pill bought online in the UK. In 2012, 40-year-old Sarah Catt was jailed for eight years for terminating her pregnancy with pills she had bought online when she was 39 weeks pregnant. Natalie Towers, 26, was sentenced to two-and-a half-years in 2015 after using the pill to terminate her pregnancy while she was between 32 and 34 weeks pregnant. Bpas and other women's groups are supporting a bill, proposed by Labour MP Diana Johnson, to be debated in the House of Commons next month, which seeks to decriminalise abortion. Some women have revealed why they were driven to using abortion pills purchased online. "I was hoping to have a termination in the comfort of my own home without judgmental eyes and without worrying about my husband knowing. I fear what would happen if he did," one woman said. "I have three children and my third is 11 months old. I considered an abortion when he was conceived and had a terrible pregnancy and [I am] still suffering from post natal depression." Another, a foreign student living in the UK, said she felt "desperate". "I cannot afford this country's prices of procedure, and the place in line for supported abortions is just too long and not guaranteed. "I feel absolutely horrible and desperate." Clara Watson, education officer for the charity Life, said the promotion of buying abortion pills online was dangerous. "Some women aren't suitable for the abortion pill and may suffer from blood clots, there may be other underlying health issues, they may not know how far along they are. It's too risky," she said. 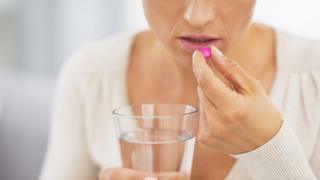 Ann Furedi, Bpas chief executive, said women who bought the pills were often "desperate" and in "difficult circumstances". "At Bpas, we do all that we can to make abortion services as accessible as possible. However, it is clear that for some women the barriers to clinic-based treatment feel insurmountable," she said. "They are not criminals deserving of life imprisonment. Evidence suggests that as awareness of online abortion pills is increasing, so too are the numbers of women using these methods." She said women should not face criminal punishment. "Fifty years after the 1967 Act was passed, it is time to bring women's reproductive healthcare into the 21st Century and remove abortion from the criminal law," she added. "By doing so we would remove the clinically unnecessary legal barriers to treatment." She also urged women in need of advice or help to contact Bpas. On 13 March, Labour MP Ms Johnson is proposing a Ten Minute Rule Bill that would repeal the relevant sections of the Offences Against the Person Act and decriminalise abortion. This is the first piece of pro-choice legislation to be debated in the House of Commons since the 1967 Abortion Act and if it became law, it would protect women who use online abortion pills from criminal sanction. The Victoria Derbyshire programme is broadcast on weekdays between 09:00 and 11:00 GMT on BBC Two and the BBC News channel.